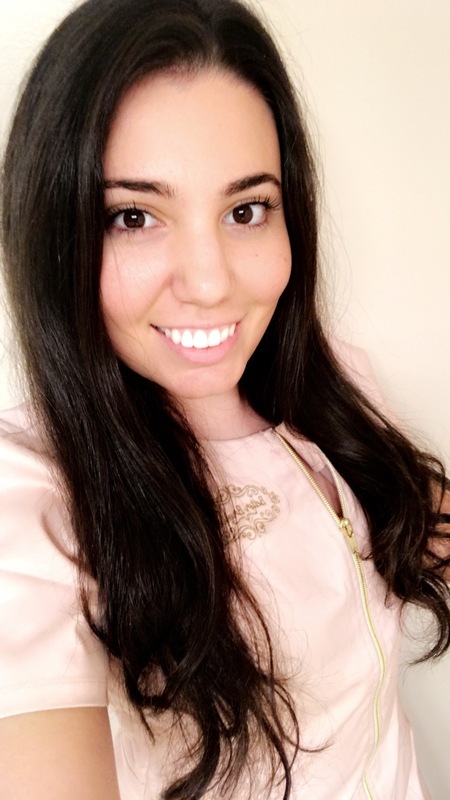 Alexia is a certified Microblading Artist who was trained by professionals who were featured on Good Morning America and Marie Claire Magazine. She is a top trained artist with an additional certification from PhiBrows, the top academy in the world for microblading. She fell in love with the idea of microblading when she realized she could help you wake up with beautiful eyebrows every morning. She knows how frustrating trying to give yourself the perfect brows in your morning routine can be and that microblading would resolve that problem! Training: Phibrow Artists are top in the industry and produce high quality work. Alexia went through rigorous training, mastering 11 levels in 6 months to ensure that her techniques maintain a high standard from top trainers. On top of that, she spent a few days one on one with a Phibrows Master. A Phibrows Master spends years to earn their title, demonstrating their attention to detail and requires intense dedication and talent, which is rare in the industry. With the Master I practiced on a group of models where I first watched her microblade then for the rest, she stood over my shoulder guiding me and giving advice. Most academies have a 1-2 day course and sometimes don’t even get to work on models nor get one on one help from a master. Phibrows is a very lengthy, strict, and thorough program producing the best artists worldwide. Products: Phibrows products are constantly being improved. They continuously test their products over and over to ensure the highest quality, as well as to make sure the color stays, and to avoid heavy metals found in most permanent makeup. These products are also vegan and cruelty free. The founder and his team prioritize producing the highest quality pigments due to the fact that they do not change color, cause any reactions within the skin, or migrate. Over a million procedures using these pigments have been done worldwide and no case of a reaction has ever been reported. These products are by far the best on the market! Tools: Phibrows technique and tools have been designed and never stop being redesigned to support their trained artists in producing very precise hair strokes, beautiful eyebrows shaped for your natural facial features, and perfect symmetry. We use certified tools that are tested to ensure the perfect eyebrows for you. The founder of Phibrows invented a compass that is used to distinguish where your brows are supposed to start, arch, and end. Thanks to him we can achieve perfect symmetry based on your natural features. Before him there was no real tool that measured exact symmetry for your brows. So now we have been trained by the best! Perfect eyebrows: Through precise measuring, Phibrow Artists create the perfect eyebrows for your face. As a certified Phibrows Artist, we use the Golden Ratio that is taught to determine the correct proportions of your eyebrows, fitted for your specific face through a high quality eyebrow mapping method. The Golden Ratio is a direction proportion found everywhere in the world from nature, animals, and especially the human body. We determine the perfect brow shape for you based on your natural facial features and bone structure. We use the PhiCompass to measure your unique bone structure and proportions to determine the best brows for you along with your desired look. The perfect shape for you is an important part of Phibrows. Safety: Phibrows is the only microblading academy in the world that has physicians that can be contacted at any time. Being a Phibrows Artist, I am able to ask any questions and receive medical advice regarding microblading to ensure you are the safest you can be! This level of support is not offered with any other academy, therefore, making Phibrows artists the most prepared to help you. Additionally, Phibrows products are all pre-sterilized and disposable to ensure the safest practice! Interesting fact: Phibrows pulled out of Brazil and China’s market due to the government’s approval for marketing. In these countries their products can not be labeled approved until tested on animals, which is against the founder’s beliefs. Phibrows response was that they have never and nor will they ever use animals to test their products on. Even after losing money, the founder issued a letter stating that the money wasn’t important to him. It is that he values doing the right thing and having the best quality. Kudos to him! It is because of these reasons and more, that if you want the best results, visit Alexia, Phibrows Artist at Better Brows!